“We just like to have a little fun out here,” Ron Lessman, owner and operator of Truckhenge, said. 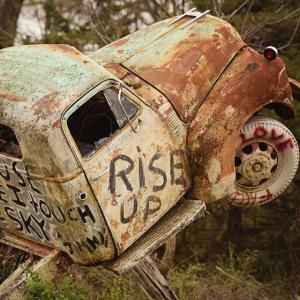 Truckhenge, which is located on Lessman’s property just outside of Topeka, is an eclectic mixture of art ranging from sculptures to graffiti painted trucks standing vertically and everything in between. 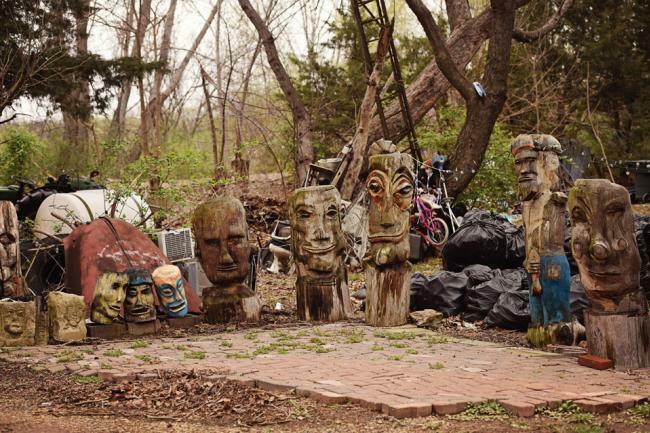 Truckhenge was created in 2000 after Lessman was told he either needed to use the trucks or move them off the property. The idea of making the trucks into mechanical monuments came from other sites throughout the United States like Cadillac Ranch in Texas. “We may have been born of conflict but we were raised on humor and creativity,” Lessman said. Lessman began his unconventional art project by standing the trucks vertically and anchoring them with 25 tons of concrete each. Lessman, who didn’t have much interest in art growing up, soon after began painting, sculpting and creating all other types of art in his free time outside of his work on the farm and slowly over the years transformed his property into what it is today. “People ask what my biggest motivation is, boredom I just got bored,” Lessman said. In addition to the vast array of art spread throughout the property, a 25-acre pond sits on the back part of the property where visitors are invited to swim and fish. Lessman also built a stage that is used for public and private concerts, fundraisers and other types of events. 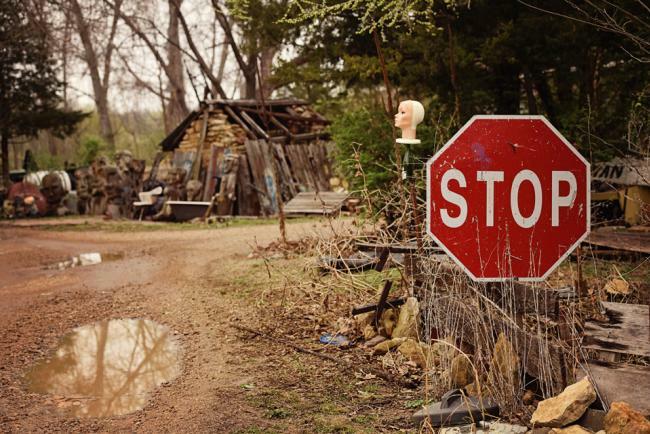 In 2011, Lessman was the winner of the Arts Connect Non-Traditional Arty award for his work on Truckhenge and his other art throughout the property. 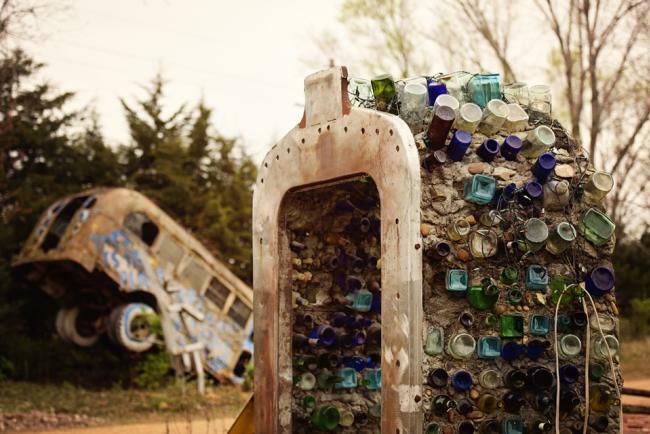 Around 3,000 people from all over the country visit Truckhenge each year free of charge. 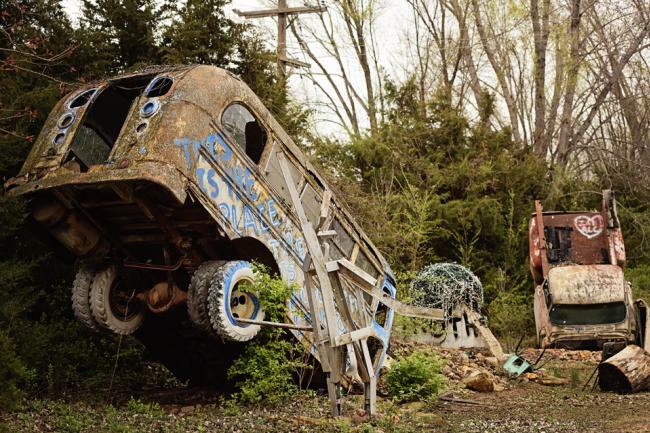 Make your way out to Truckhenge for the bohemian style art, the fishing or just for the fun of it. 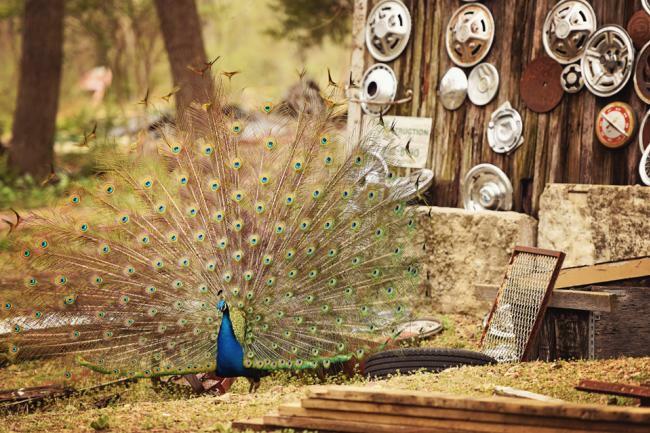 While you’re out there keep an eye out for the friendly peacocks that roam the property.